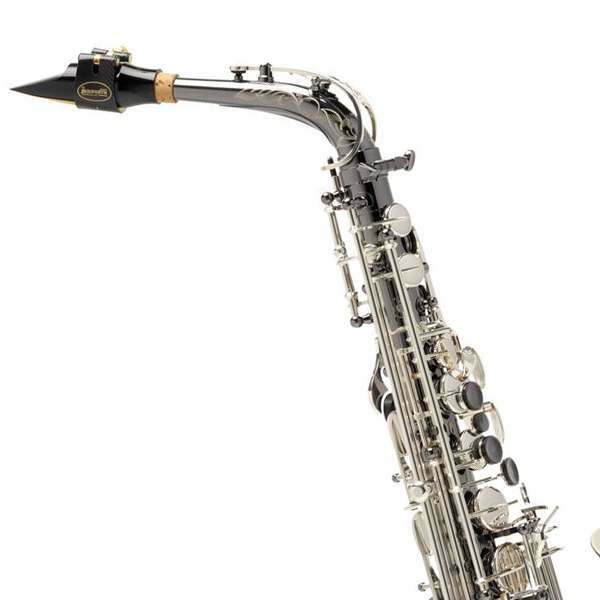 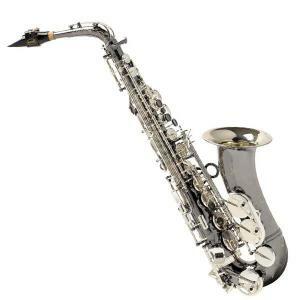 Professional Alto Saxophone Shadow J.KEILWERT. 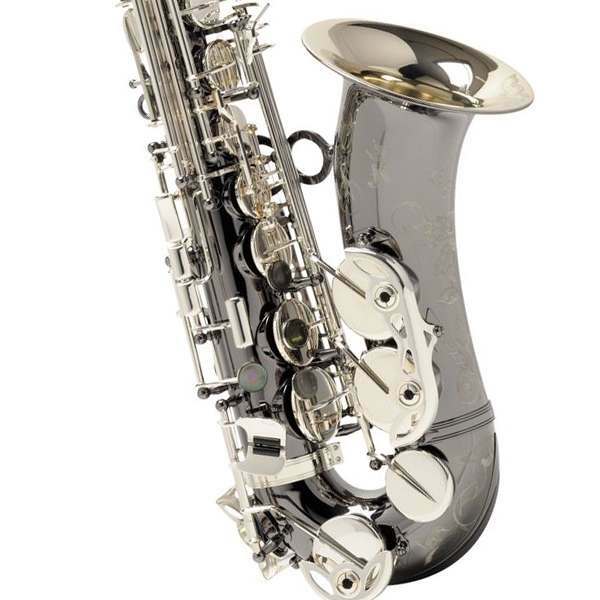 Nickel silver body, black nickel plated, silver plated keys, 5.25" (133mm) bell diameter, adjustable thumb rest, adjustable palm keys, extra F key with adjustable screw, G# pad cup lifting mechanism, stainless steel screws, mother of pearl buttons, leather pads with metal resonators, hydraulically formed neck. Clear lacquered finish.